December 17 was the third iteration of the Wasatch Skimo Citizen Series. I didn’t get a full headcount, but the list of members is over 100 people now and I’m pretty confident most of them showed up last night–it was incredible! 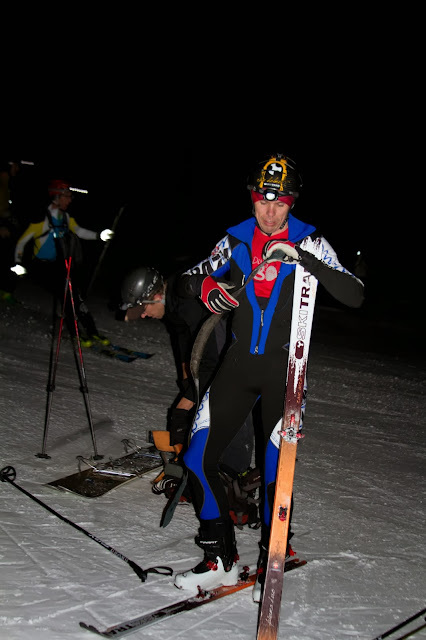 We’ve had alot of people sign up at utahskimo.org and coming out to the races. The beautiful thing about these races is the range of equipment used–From lycra suits, carbon boots and twig skis to splitboards and powder rigs. 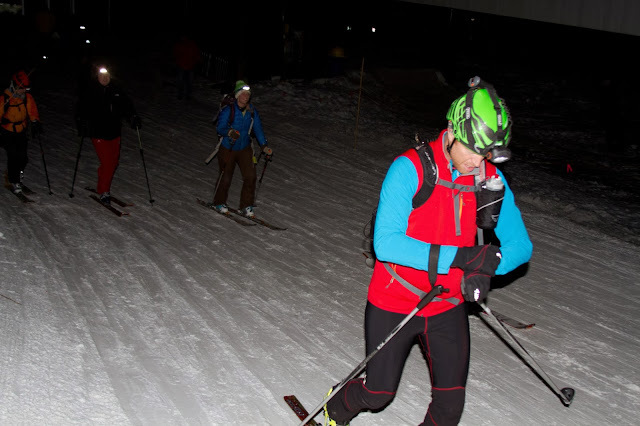 Regardless of gear, the races are a chance to be introduced to skimo racing and a good excuse to go ski with friends on a Tuesday night. 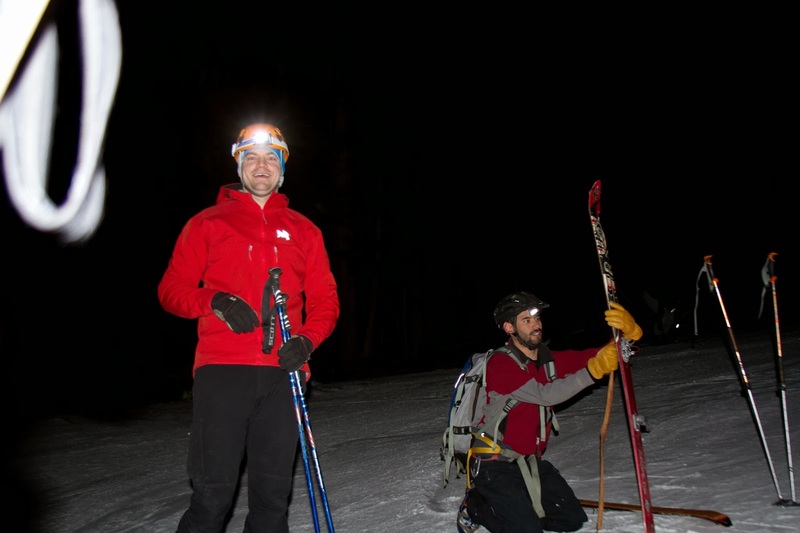 I’d take skiing intervals over intervals of eating chips while watching the Kardashians anytime. 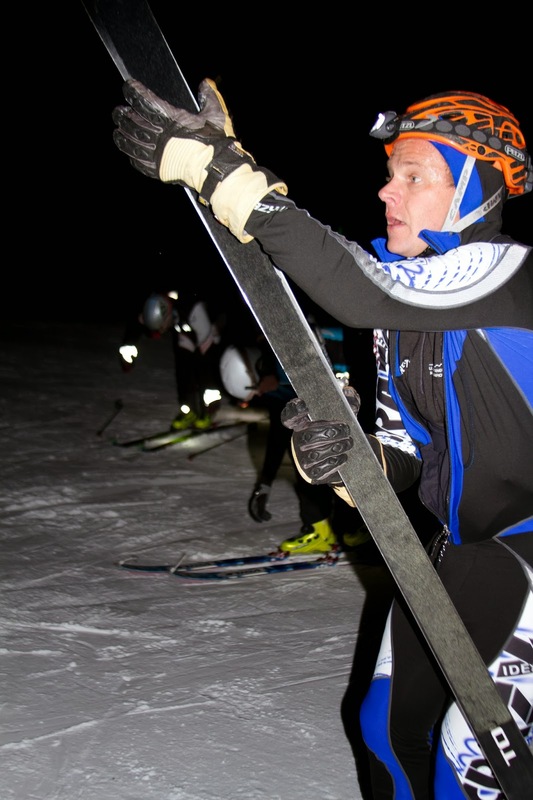 Setting the course last night and it gave me a lot of respect for that task–It takes a while and you have to schlep all the flags up and down the course, setup, tear down, etc. It takes much longer than you’d think and it made me appreciate the effort that goes into this each race. 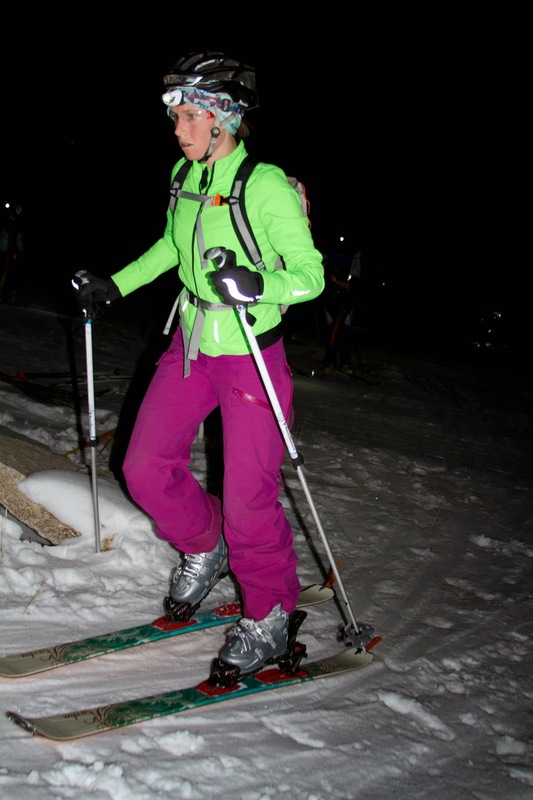 Several sponsors have been supporting the series with raffle prizes from Voile, Black Diamond, skimo.co, Gear:30, La Sportiva, Camp, Gnarly Nutrition, Kate’s Bars, backcountry.com among others. The race division raced a course of 3 laps, with others completing two laps. 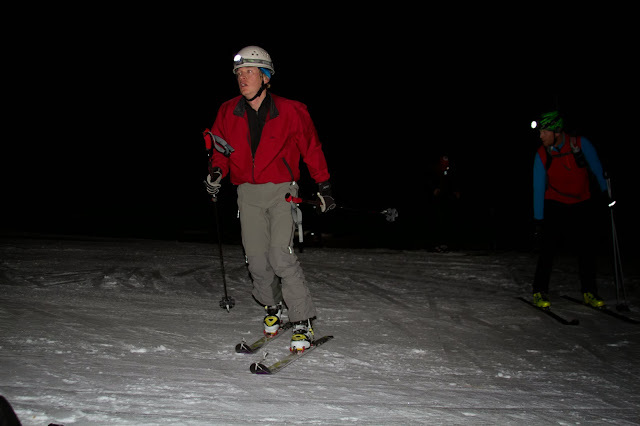 Each lap consisted of two ~400 foot climbs and two ski descents. The suits finished in around 45 minutes with everyone else finishing in 60-70 minutes of racing before heading over to Molly’s. Tom off the front right from the get go. The crowd descended on Molly Green’s after for raffle prizes and food. The proginator of many Wasatch skimo racers, Joey Dempster. Transitions make or break it in the suits race. 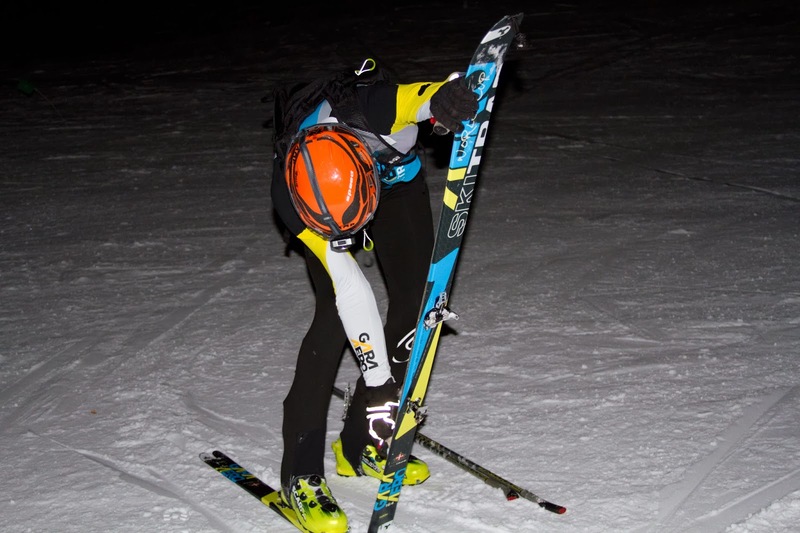 ~60 seconds for an uphill transition and ~30 seconds for a downhill transition.